Before being transformed into romantic heroes and soft, emotional antiheroes, vampires were figures of overwhelming terror. Now, from some of the biggest names in horror and dark fiction, comes this stellar collection of short stories that make vampires frightening once again. 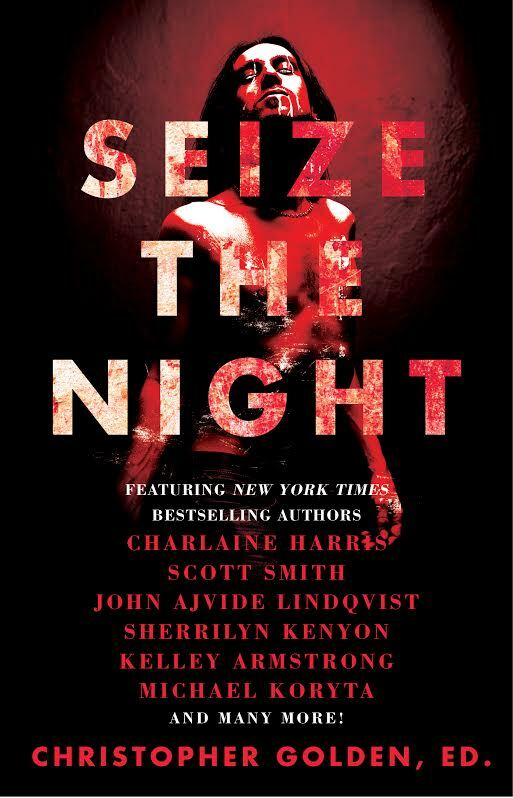 Edited by New York Times bestselling author Christopher Golden, Seize the Night is old-school vampire fiction at its finest. I cannot tell you how thrilled I am to be part of this book, alongside…well, pretty much everyone else that’s in it. I gather it’s not available for pre-order, yet, but when it is, trust me, I’ll let you know.